FACE Low-Cost Animal Clinic is the home of Indianapolis’ only high-volume spay-neuter clinic. We offer safe, affordable spay-neuter for cats and dogs regardless of owner’s income. 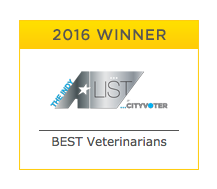 We also offer same day, walk-in, low-cost vaccines through our Vaccine Clinic and basic veterinary care through our Wellness Clinic. Because of our efforts, along with a collaborative partnership among community partners, euthanasia at Indianapolis area shelters has decreased 90% since opening our doors in 1999. Learn more. 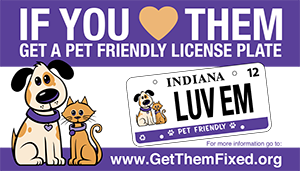 You can prevent euthanasia by purchasing the Pet Friendly License Plate! Your choice to spay or neuter your pet is an important one and may be the single best decision you make for their long-term welfare. Every community, regardless of location, has homeless animals. There are an estimated 6-8 million homeless animals surrendered or collected and brought to animal shelters every year. Sadly, only half of the adoptable animals are adopted. And the rest are euthanized. Learn more. Although FACE Low-Cost Spay/Neuter Clinic is not a shelter, we do have cats and dogs that are in our care that are in need of a good home. Every animal we have for adoption is spayed or neutered and has all of its age appropriate vaccinations. Save a life – consider adopting today!